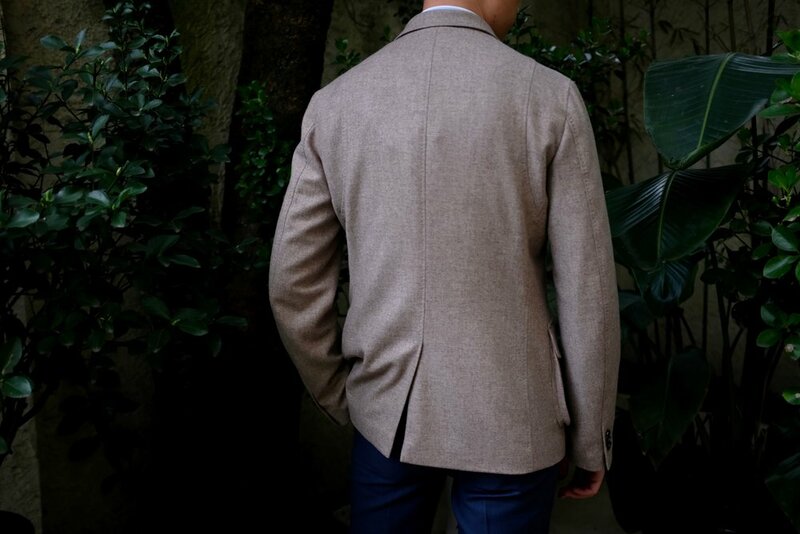 Our signature Paris jacket is a true smart-casual blazer. It is your best everyday partner, it will do the job week days and week-ends, in the city or in the country. It is very confortable to wear due to the totally deconstructed workmanship, without any canvas or pading. A soft-tailoring must, with a low shoulder and high armhole for the gentlmen on the move. In the winter it is suggested in flannel of wool or heavy cottons such as corduroy and thick twills. In the summer, it will work well with linen twill, cotton canvas and jerseys. 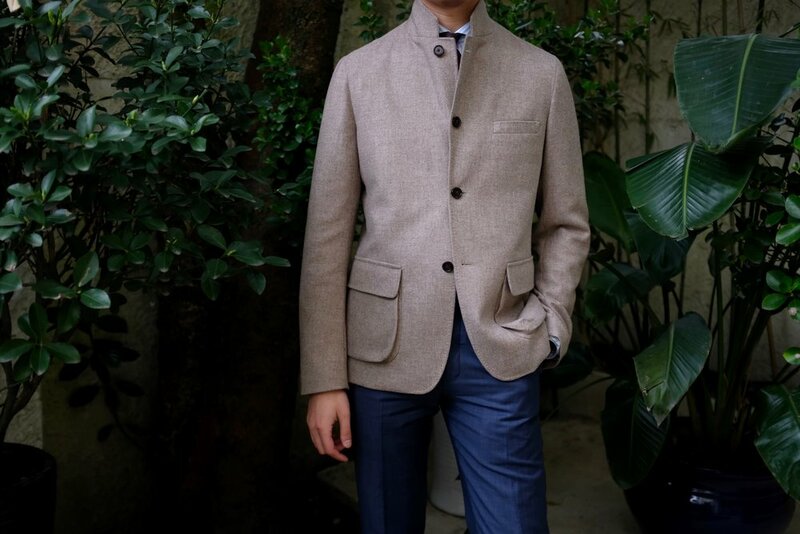 The blazer has four buttons, for a better versatility, button two at a meeting, three when walking in the windy streets, and four on your scooter!